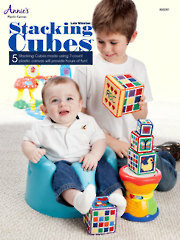 Your child will have hours of fun with these stacking cubes! My grandson loves to stack things so I wanted to make him some stacking cubes. 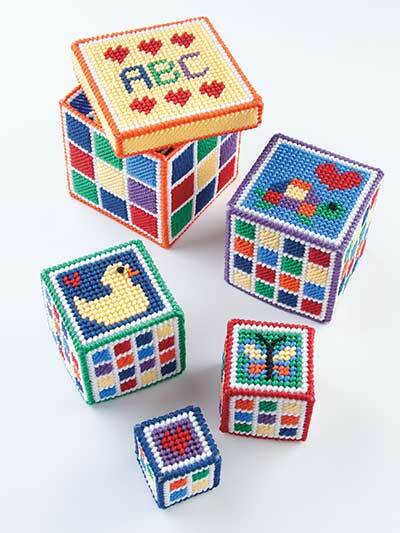 One of the easiest ways I found was to use different size plastic canvas ans yarn to make some colorful cubes. 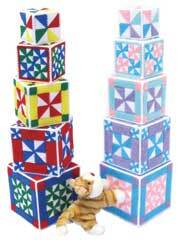 5 stacking blocks stitched in primary colors are fun for Baby to play with, and they make a colorful room decoration. Each block stacks inside the other, with the largest block measuring 4" x 4". All are made using 7-count plastic canvas and Needloft® yarn.